Popular with families, our morning cruise is a great way to start your day. 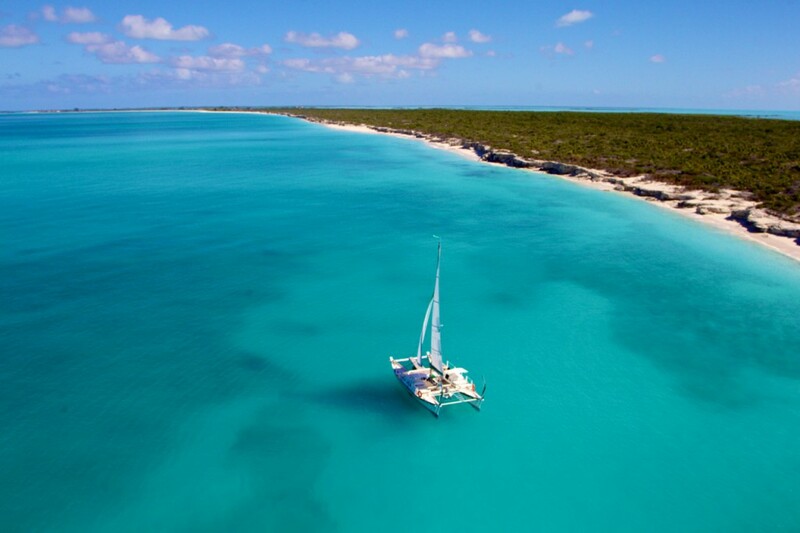 Snorkel our beautiful reef, sail along our desert islands, stop at one of our spectacular beaches. You decide, but be warned, you will not want to get off when it’s over! 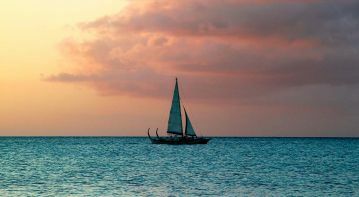 Our most popular cruise. 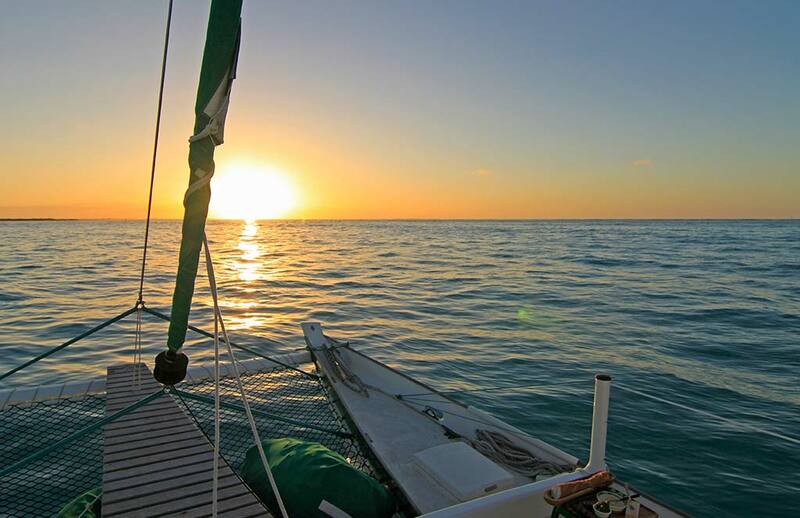 Enjoy an afternoon of sailing, snorkeling, beach combing or anything else you wish. 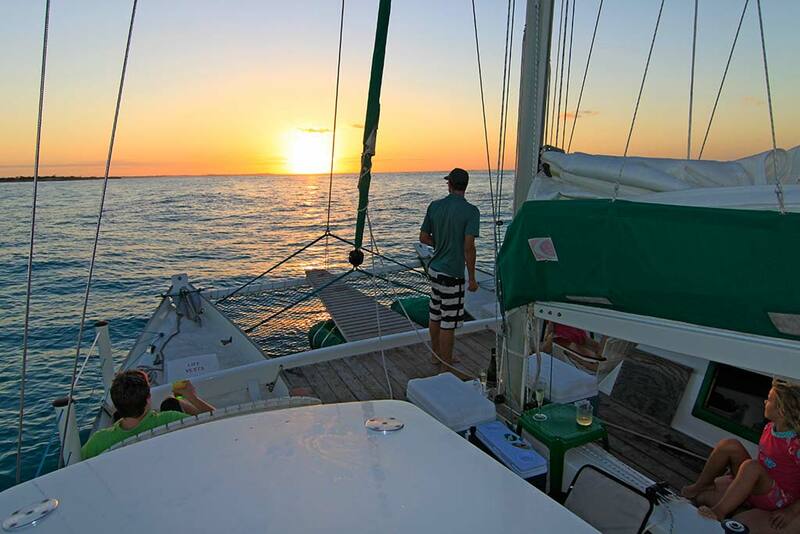 Then top it off with a sail into the sunset while sipping a few of our famous rum punches. 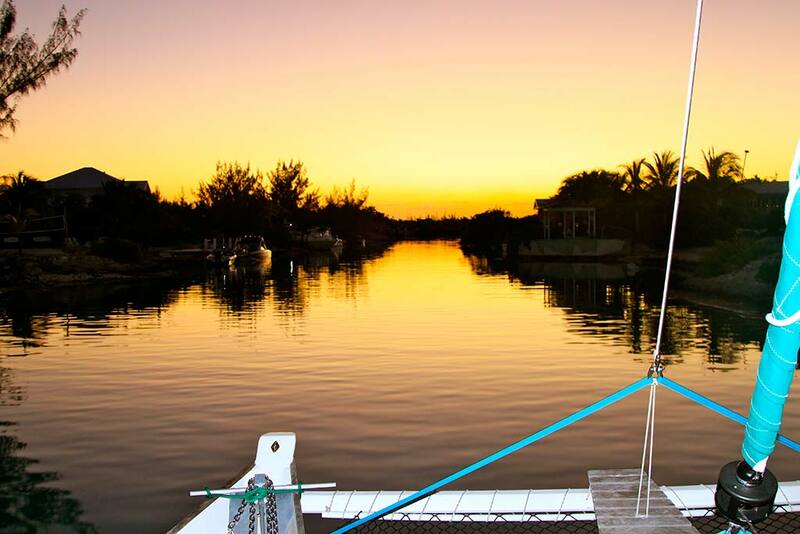 It’s your boat for the afternoon so tell us what you want or ask us to suggest an itinerary. We want you to have a wonderful afternoon, one that you will never forget. 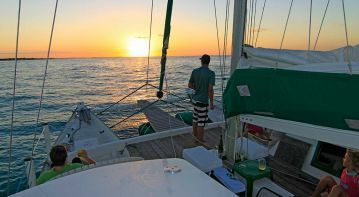 We set sail at 10 am and come home after sunset. The rest is up to you. 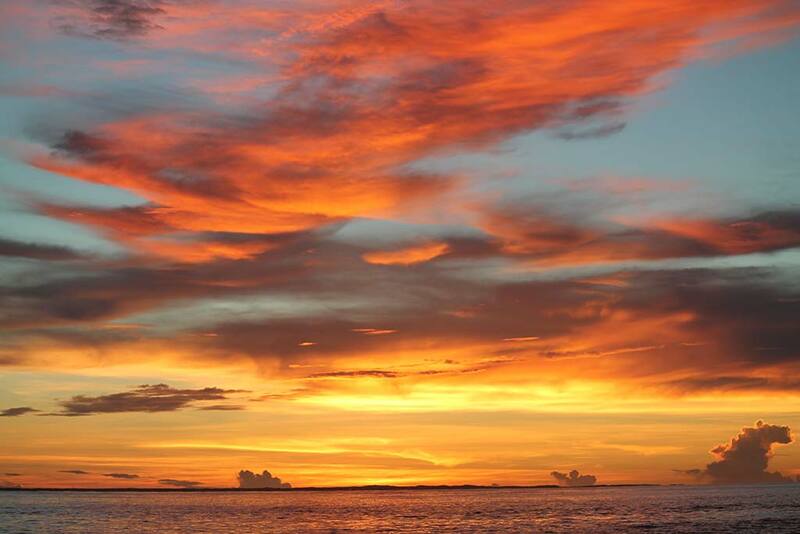 Choose from so many options that you’ll just want to come back for more. 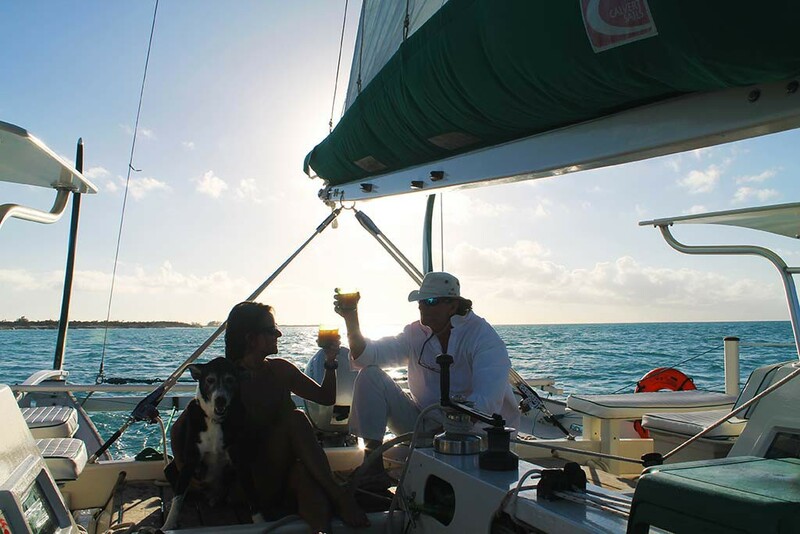 One of our favorite couples sails Beluga all day every day for 3 weeks! 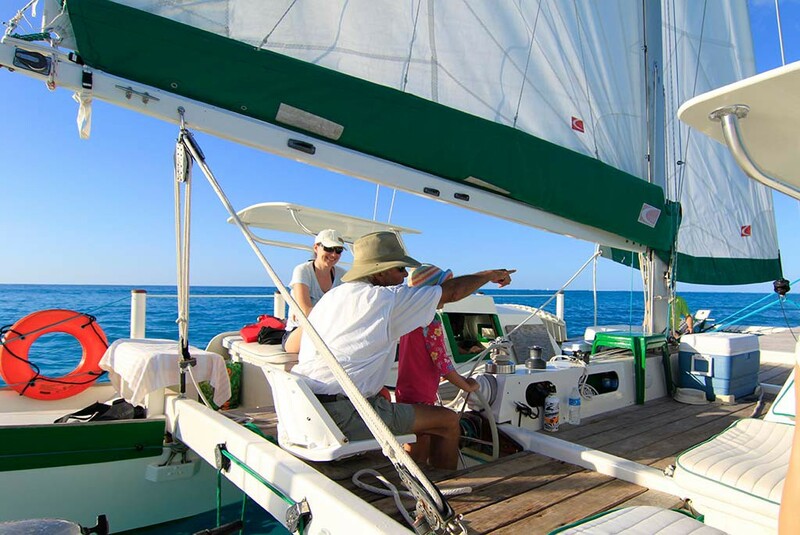 Snorkel the reef, sail away, enjoy a fabulous lunch under our awning while sipping a glass of chilled white wine and sharing all sorts of stories with your captain. 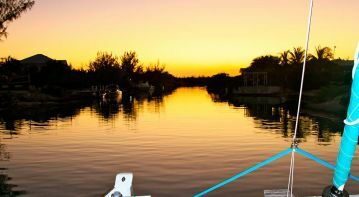 Lie around on a deserted island beach, explore some of the creeks and estuaries between the islands and finally end your day with a sail into the sunset and a mouth watering rum punch. It’s your day, we’ll do what you want. 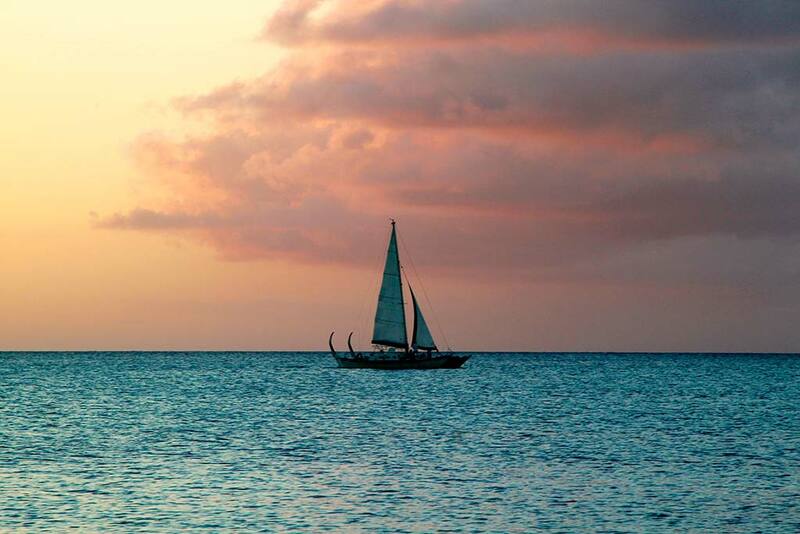 There is nothing quite like sailing into the sunset in the Turks and Caicos Islands. 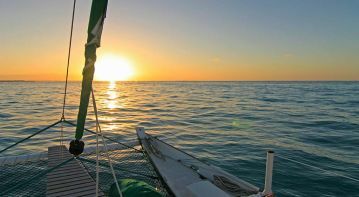 Book an Afternoon or an All Day cruise with us and we will sail into the sunset together. 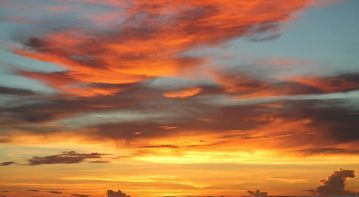 Sorry, we don’t take bookings for “sunset cruises” as the sunset is included in both our Afternoon and our All Day cruises.